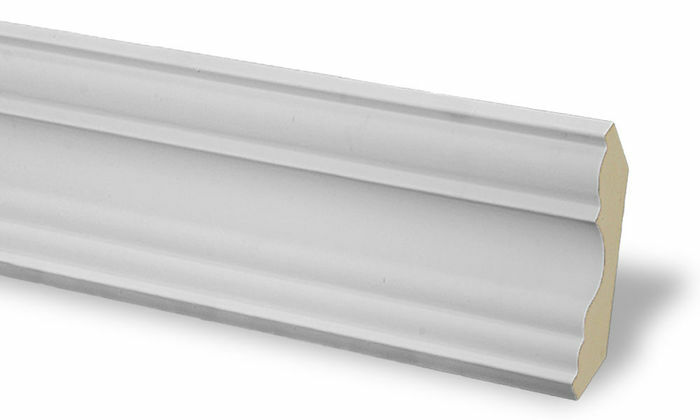 CM-1027 Crown Molding is a Plain, 4-3/16" breadth crown molding typically used in rooms with ceiling heights of 8' - 9'. Great addition to the hallway! Lightweight makes this very easy to install. The finish look is such an improvement to the hall. Received product within two days of ordering. It was well packaged and damage free. Very easy to put up even for diy novices. I will definitely purchase as we complete the rest of our remodel, thank you! WE HAVE A GOOD EXPERIENCE TO WORK WITH! 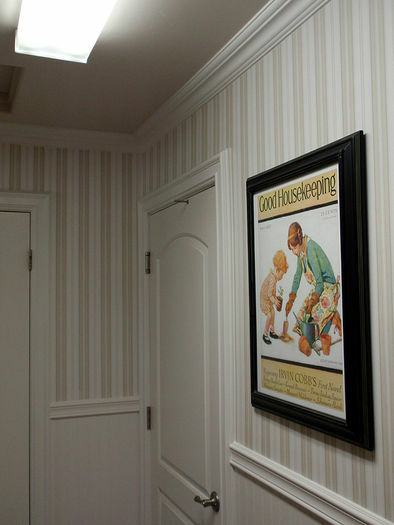 I’ve used this crown molding in numerous rooms in my home. Paints easily, goes up easily, and it looks elegant!! Quality products at fair prices with excellent service. I used crown molding purchased from U Decor as part of a 90- linear foot ceiling cove lighting project at my home in Florida. The assistance provided by UDecor was helpful. The product was shipped promptly. it arrived in fine condition. I have subsequently placed additional orders with U Decor and recommended them to others. What a difference this crown mounding made! Super fast delivery and easy to work with- even as a beginner. Product as stated, shipped quickly. on time, product as described, looks great. As a female and a helper to the man who put it up, the job went very smoothly. We had many cuts to make and they were easy for him.. Taking down the wallpaper border took much more time and was very time consuming.. So easy to work with..
Love this stuff .. AWESOME! I loved that it looks and cuts like wood but is lighter. I painted two coats of paint on all the molding before starting to install. After install all I had to do was caulk and touch up. That saved many trips up and down the ladder. 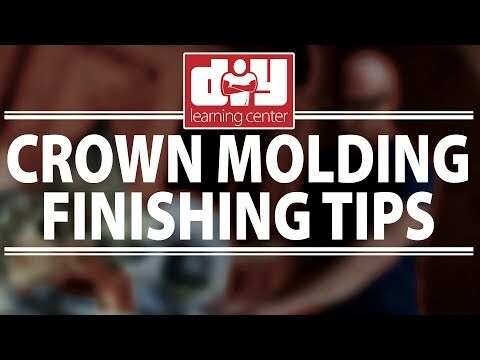 I am 68 years old and do not consider my self a finish carpenter but after watching the video several times and taking notes, I did just what the guy in the video said. I got better the more I did. My wife and friends love it and cannot believe that I did it. I ordered on a Friday my deliver was delivered on Tuesday. The molding was perfect and the service was great!!! 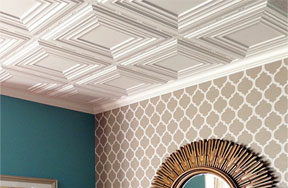 I have installed crown molding in all of my homes but the crown that I ordered from udecor was the easiest to work with by far. It is so lightweight which makes it very easy to put it up by yourself. It cuts beautifully, paints easily, and it looks great up. From now on this is the only crown I will use! The molding arrived extremely quickly and packaged well to avoid damage. We are so excited to have added this crown molding to our bedroom. Just beautiful! UDecor is the best. Made the whole process easy. Price was great. Shipping was fast. Product was amazing. And watch the tutorial videos. Made it easy. Thank you for informing us of this issue -- we're very sorry for the inconvenience it has caused! We want you to love your new molding, so one of our friendly representatives will be in contact with you shortly to offer assistance. We look forward to speaking with you soon! Very inexpensive and easy to use. Prompt delivery and customer service was great. Our master bath looks elegant!! We had this installed in our master bathroom. Love it, love it. Well packed and very pretty. But need some skills to install to make it straight. The molding was delivered fast and was as I expected. It was easy to use and I was able to complete the project without issue. I love my crown molding!!!! 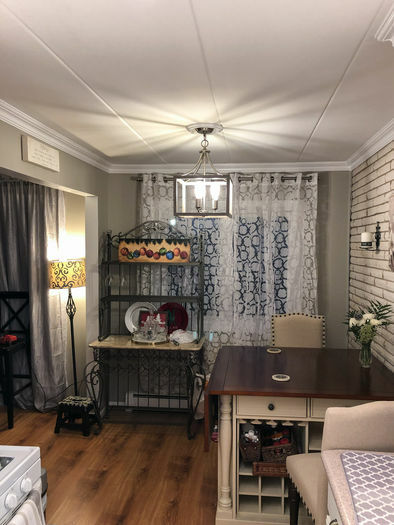 I hired a carpenter to mount crown molding throughout the main portion o my house including the bathroom, hallway, laundryroom, living room and kitchen. t arrived promptly and he said it was very easy working with the maerial and mounting it. It looks super and everything turned out just the way I had envisioned it. Thank you UDecor! I highly recommend this product. I bought this crown molding for my living and dinning room. It looks very nice and eligant. Only reason for not giving 5 stars is because I bought boxes at different times and there was a slight difference between molding. Julie was excellent to try to get me the right style. If you buy this buy this product buy all at once. The crown really helped the appearance of the rooms and was relatively easy to install' A Finish nailer would greatly improve speed if you can rent/buy. When calked it looks professional. Great price no tax delevered quickly looks great what more do you want! ! Easy to install and looks great! The customer service staff at udecor are true professionals and it's a consistent positive experience every time I dealt with these guys, thank you! It looks great. Went up easily without extra help. My fiancé happened to be driving by their store one day and decided to stop in and see if they had what we were looking for. They were attentive as well as informative. Made the purchasing of my plantation shutters very easy as well as economical. I would definitely use them again. Excellent quality. 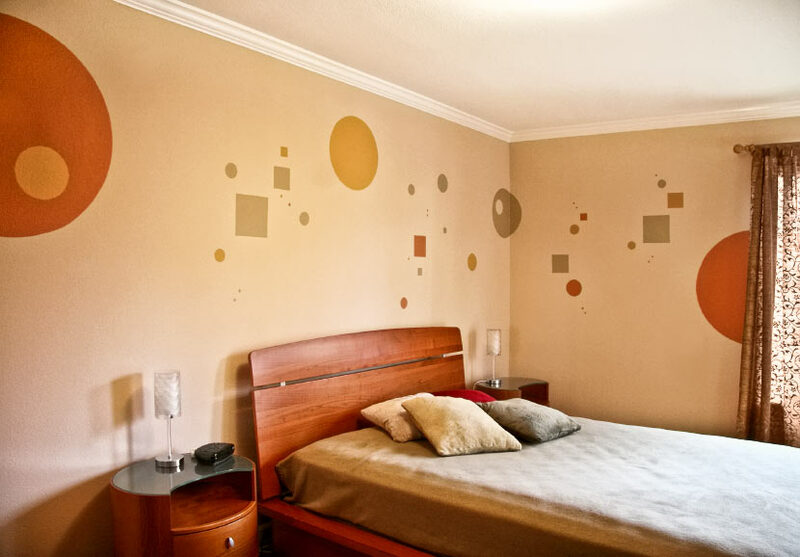 What I loved about uDecor was I was able to order 7 samples and hold them up on my walls to see which one would work best. I have not yet worked with the material, however the sample is straight and well defined. I can't see any issues working with this product. Two installers told me after I bought it and painted it that the foam molding is not suitable for Arizona. The shrink and swell is too much. It was a waste of my money and time. We're sorry that your installers gave you this information. Polyurethane is actually one of the best materials for this because it isn't affected by the dryness (or in areas of humidity a high humidity). You always want to install a material as close as possible to room temperature ... as long as you do that and use an adhesive on your seams you shouldn't have any issue with your installation. We have lots of customers in Tucson that have ordered with us and we'll reach out to help find an installer that is experienced. I have used this CM throughout the house. Great product. Easy to install. I pre paint 2 coats then install with glue and 18 gauge nails. Caulk and paint 3rd coat. Turns out great. Has made a big change to the house. Looks complete now. Instruction video great too. U-decor folks helpful. Almost finished with last install. Looks professionally installed. 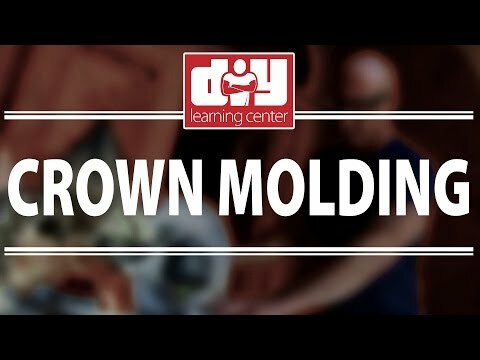 With this product along with their incredible how-to videos, even I did a professional job putting crown molding in my kitchen. A little caulk and paint, and boom! It looks like a million bucks! Everyone says it looks great and very professional install. I really like working with this material. Very user friendly and easy to install. Well worth the investment. Im a DIY'er. I was debating whether to buy udecor crown molding, or solid wood crown molding. Im glad I chose udecor. It was worth every penny. Easy to handle, easy to cut, easy to install (even for one person). The material isnt perfect, there are some minor manufacturing imperfections, but you'd have more defects in solid wood. Im a repeat customer, and will purchase again when the time comes. Thank you! The product is perfect and the instructional video is even better. I rented a miter saw ($35) from the local big box store at 11:00 a.m. returned the saw two hours later, and nailed, glued, sealed, and painted the crown molding before my wife got home from work. Best home improvement investment we ever made. Bravo!!! Great product. Easy to cut with a coping saw. 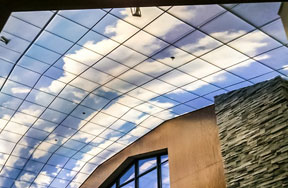 Installed on 8' ceilings. 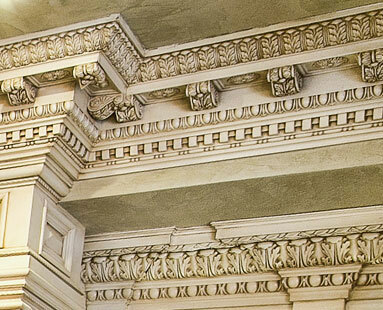 Using this crown to create window cornice. Due to the height of the windows decided to go with this taller crown. Easy to work with and it looks great! For those individuals that appreciate moulding in architecture this addition to our house stops them in their tracks! Thanks UDecor for producing a quality product! Looks great at a really good price! 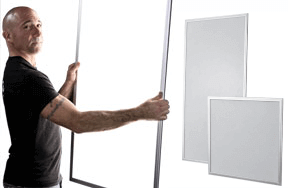 These are easy to install and look fantastic. When I planned the remodel of the studio, I told my wife that I would not be installing crown moulding like I did in the Bedroom remodel. Well, she set me! She loved it so much in the Bedroom, she had to have it in her studio! 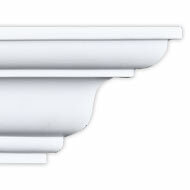 I purchased 42 pieces if CM-1027 crown molding and added it to our kitchen, dining, living, and entry hall. 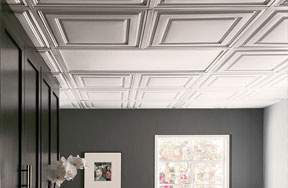 The house has 10 foot ceilings and this molding really gave it a classy look. Fantastic product! Looks Great! one coat of Semi-Gloss and done. My wife loves it, enough said. 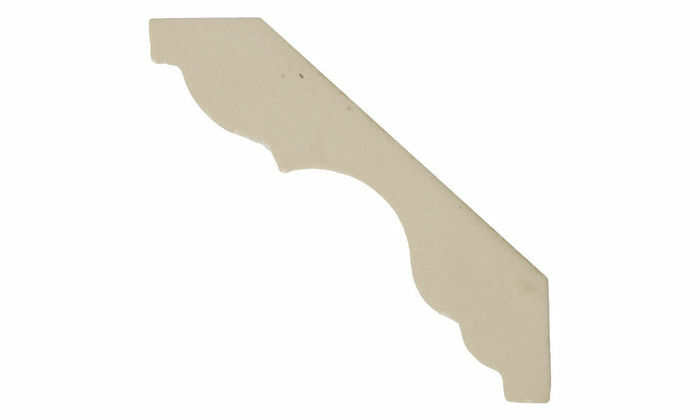 I really love this product as crown molding. It had a few gaps but was easy to fill with putty, lightly sand when dry and painted perfectly. The UDecour was always great with shipping and I always received my product in great condition. Wish I had more rooms to do! Will definitely do business with the company and highly recommend the product. Product looks great and easy to work with. Will be purchasing more for my next project. Good quality, easy to install! 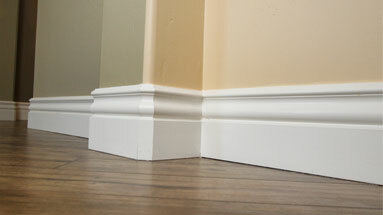 This seems to be good quality moulding and it was very easy to install. I added it to a room where I hid the wiring for my 7.1 surround sound system along the joint where the ceiling and wall meet, obviously. There was ample room to hide all the wiring in the gap behind the moulding. Highly recommended. 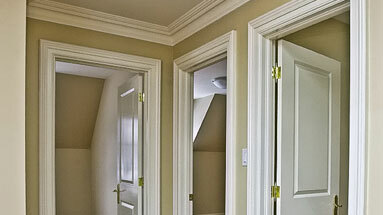 The price is higher than wood moulding but the ease of installation more than makes up for it. Turned out good added greatly to the rooms appeal. The molding turned out good. Have to be real careful with the seams. I like the product and will try coping instead of mitering next time. This is so easy to install - light weight and so pretty. I'm a first time crown molding installer (I'm a 60 year old woman) and I got it up in the kitchen and dining room. For the most part, it looks great. My main problem was the joints. 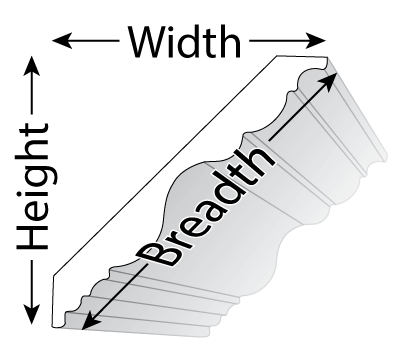 If you can use a miter saw instead of a miter box, do so - they'll fit together better and you'll use less caulk. I didn't know how to work with uneven walls, also something a pro would be able to handle better. Still, it adds a lot to the room. I started in the master bath with this crown. It really makes a huge difference and really looks great! I plan to do the rest of the house with this molding. Very easy to install. Very nice people to deal with. Great experience all the way! Bought CM-1027 crown molding and installed it to our house. Good product that makes the house look nicer than before. Purchased additional pieces but received inconsistent ones. If you look at the current specification, it should have 38/52 spring angles. I received a mixture of products with 38/52 and 45/45 spring angles. But the customer service seems good and the vendor is responsible. They re-sent me products that are consistent with online specs or my previous ones. It wasted some time and labor, but generally the product is good and I am satisfied with the vendor. The crown moulding looks beautiful. Great product and the service was the best! We were extremely happy. Crown molding arrived in great shape when expected. There are a couple of spots in 18 8ft long prices that aren't perfect but they will not be noticeable. I would order this again. As a rank amateur I was delighted with the ease of install and the final look. I made all cuts by hand with a miter box and loved how totally easy the material cut. I used an electric Brad gun to assist in holding th molding in place but the adhesive did most of the work. I shaved off popcorn on ceiling where the molding was going and that made life easier for placement with smaller gaps. I'd be glad to use again and to recommend this product. 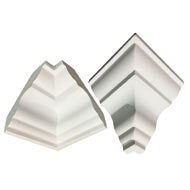 I also made some simple window cornices and they look great picking up the look of the molding. 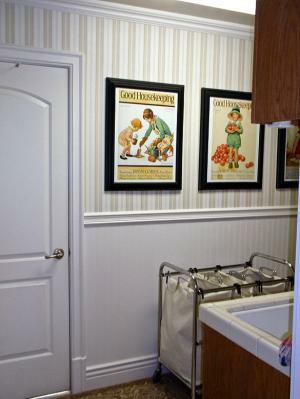 The crown molding makes the room. Awesome product! so easy to use.. flexible, mildew and mould resistant, can be used no matter how bad sheet rock finish was from construction companies. Product has transformed an everyday cookie cutter house to something leaning towards elegance. By watching the tuturial on how to install this product which is absolutely easy i do recommend this product to anyone who will desire crown moulding in their home, 5 stars from me. matt. After installing the crown molding our rooms look great. 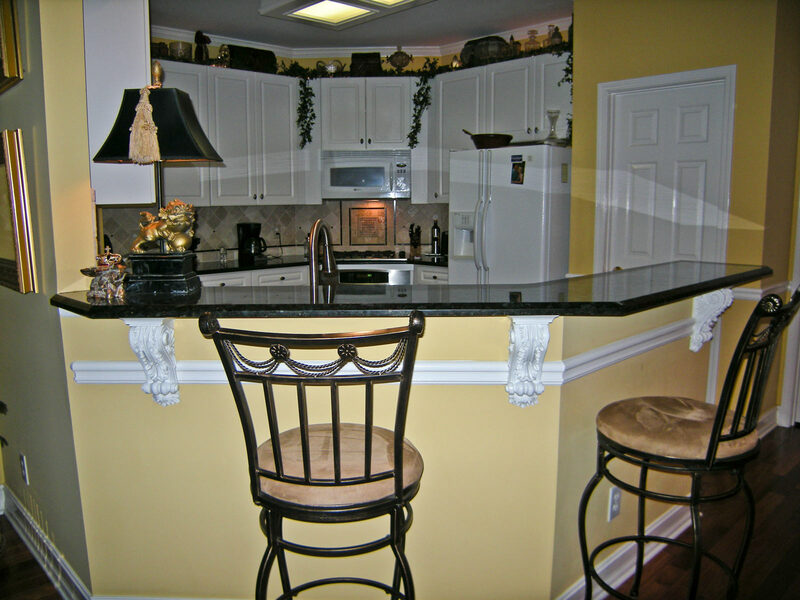 The molding gave the rooms that finished and somewhat elegant look. We couldn't be happier. Best price around. Molding is nicely primed. It only took 1 coat of paint. There are some imperfections, but they won't be noticeable, once they are up. Arrived when promised. Goes up easy very little mess everyone likes the improvemrnt to the room. I am very impressed with this moulding. 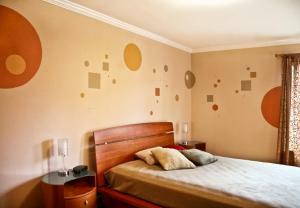 It goes up easily and paint adheres very well. dealing with the company is a pleasure.Vicki is the best. Instructional videos are very helpful. Never instal crown molding before, now my wife wants it throughout the house. This product is all that the company claims.. Great looking, light weight and easy on the installer. 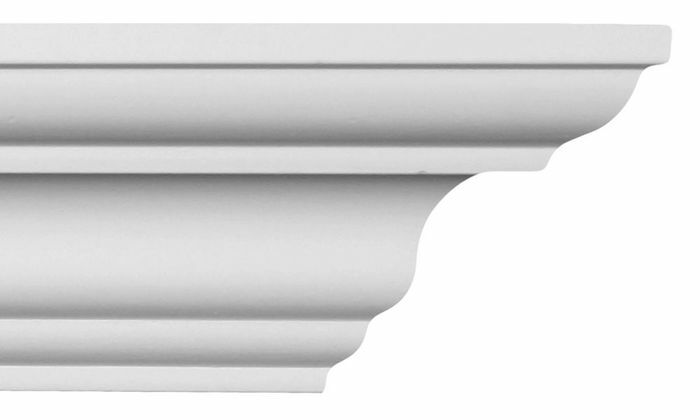 One comment: the corner finials are slightly different white than the crown molding. You'll have to caulk and paint. 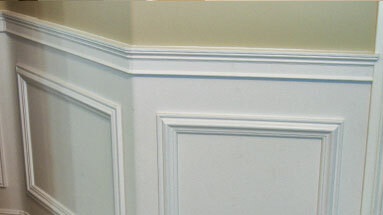 Crown molding looks nice but the curvatures on a few pieces we received were inconsistent resulting in visible joints. Product was so easy to work with. Looks great installed. Will definitely me buying more for the rest of the house. I ordered 16 CM-1027, 3 of them were a 4 1/8" Breadth, while the other 14 were 4 1/4" Breadth. Luckily, I was able to use all of the molding, but, I used the 4 1/8" in a different room all together. After words, they offered to send me 3 - 4 1/4" ones, to make up for it. They were very apologetic for the size difference. the order it self, came as scheduled. So easy to install and it adds so much to a room. I'm so glad I stumbled upon UDecor for the crown molding for my son's nursery. Not only were the prices the best available but shipping was unbelievably quick! I will definitely return to UDecor when we decide to finish the rest of the house in crown molding. 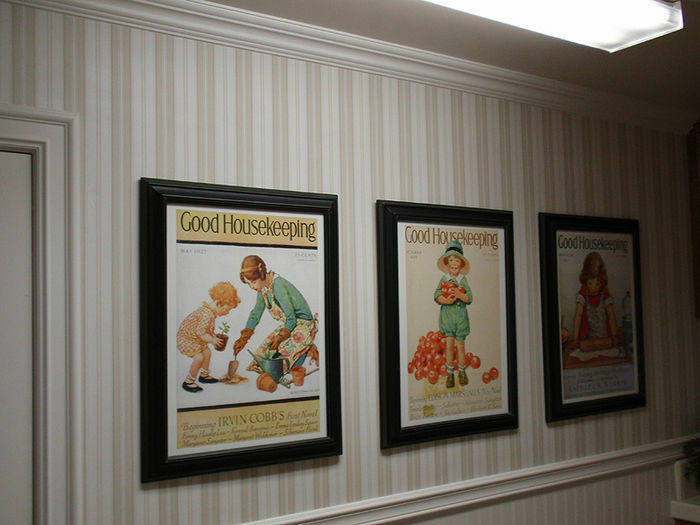 This style is simple yet adds such a nice touch to the nursery or any room. I couldn't be happier!